Finally got the car back after being away for several months. I've had the car for about 13 years and still have no intention of giving up on the Prelude. 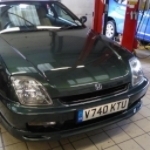 Looking at the various Lude profiles I'm possibly one of the few not to go down the route of major modifications, so my Prelude is essentially OEM bar the audio system, (speakers, head unit and now a sub in the boot). A few parts took an eternity to arrive from Japan and the new condenser was third party, (Honda no longer stock that, plus it's ludicrously expensive compared to 3rd party offerings). 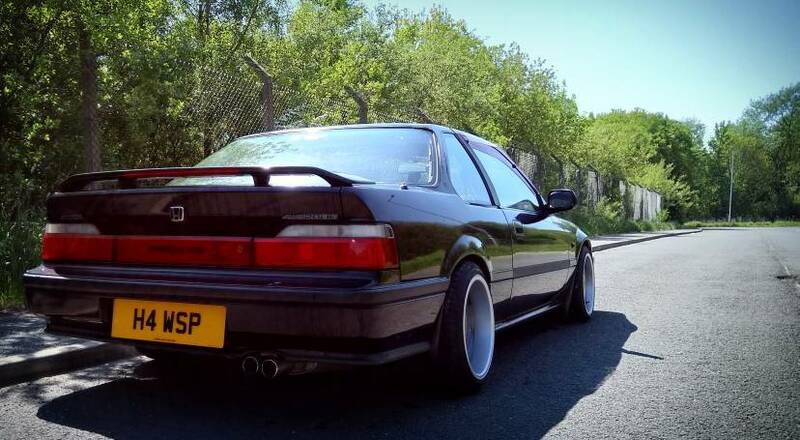 I even got new roof strips fitted, (that might have been over the top at £50 per strip, but, I was after a result that would give the Prelude a 'as new' feel). I've spent appox 5k on all the mechanical repairs, bodywork, audio and reviving the leather seats and steering wheel. This hasn't been a DIY affair, it's all been in the hands of Honda, the audio fitters they use and a specialist leather revival company. Engine bay could use a tidy, the old red top could use a paint job! New sub is rather impressive and gives the sound a well needed boost, (the fitters have managed to eliminate boot spring rattle/resonance with the use of some kind of tape, does the job). Managed to grab a bargain on a Kenwood head unit, with reversing camera, (factory recon and less than half price, a DNN-9250DAB). I should have taken 'before' pictures, so you'll have to take my word for it that the leather revival worked wonders. Essentially a deep clean, followed by touch up and an overnight condioner to give the leather a softer feel. The steering wheel leather was sanded down, repainted and sealed. What was a shiny leather steering wheel with worn out sections became a smooth original matt finish, (I was very impressed with the results). And then parked up with my Door Defenders, (the off road parking spaces are somewhat stingy width wise and the long doors of the Prelude are prone to dings from idiots that like to fling car doors open, wish I had a garage). All in all I feel like the money spent has given me a brand new car, a car that is seriously pleasurable to drive. This car is a keeper, that's for sure. Last edited by norks27 on Thu Feb 07, 2019 7:37 pm, edited 17 times in total. Lovely! I too like keeping mine largely OEM, aside from the exhaust and sound system, plus a few things you can't really see like the alarm, mine is. Great to see a lovely clean example and well done for keeping it that long. I might have to steal this idea when I eventually get a bigger shared garage so the partner doesn't 'ding' the car. Magnetic, yes - they used to be black, had them years and colour faded. The Maxi model may be a better one to get? They didn't do that version when I got mine.